Popular Banquet Halls in East Delhi That Are Breathtaking! With scorching hot summers building its way into India, if you’re planning a summer wedding or looking for indoor wedding venues in East Delhi, you’ve landed at the right page. We know Delhiites having high standard of living, therefore, it goes without saying AC banquet halls become a top priority when it comes to considering a wedding venue. But while finalizing a wedding venue, several crucial factors need to be deliberated, such as convenience and comfortability of your guests, if you don’t want half a number of invitees showing up at your wedding. 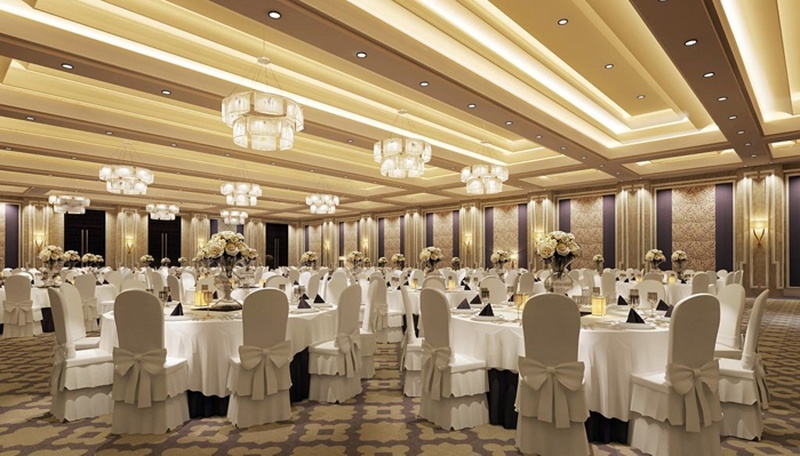 Making your hunt an easy and effortless task, we’ve explored and handpicked these popular banquet halls in East Delhi that will make you skip a heartbeat the moment you take a look at their breathtaking facilities. Country Inn & Suites by Carlson located in Sahibabad, Ghaziabad is where dream weddings meet their dream destination. With wide choices in banquet halls available, you are guaranteed to be amazed with the versatile event space that feature elegant furnishing and offer facilities that are easy-to-decorate. One of the best wedding venues in East Delhi, this 100% veg wedding hotel promises to be all things glitzy and glam ensuring your once-in-a-lifetime moment is no less than extraordinary. Their considerate and professional staff proficiently understands the nuances of Indian weddings, thus will assist you in every way possible for your pre and post wedding celebration. Get a quote and more details here. Conveniently located in Kaushambi, is one of the most lavish wedding hotels in East Delhi Radisson Blu that’s making fairy-tale weddings a reality for numerous bridal couples. Stunning banquet halls with capacity as large as 800 guests await you at this dreamy location in East Delhi. Their dedicated vendors and wedding planners make sure your wedding is flawless right from your pre-wedding festivities to vidaai. When you choose Raddison Blu as your wedding destination, all you got to do is choose your décor, menu, table setting and leave rest of the arrangements to the hands of the expert. The Leela Ambience Convention Hotel in Delhi is the kind of 5 star hotels in Delhi for weddings that can help you arrange an extravagant traditional celebration or a flamboyant affair that symbolize Delhi weddings. If you’re having a kind of celebration, where you can’t afford to strike off even one person from the guest list and have ended up inviting more than 1000 guests, The Leela has the perfect banquet halls in East Delhi to accommodate your attendees. Perfect setting, outstanding décor, impressive cuisine and magnificent ambiance wait for you at this venue. If you wish to offer convenience to your guests, just because you don’t want anyone to miss attending your big day, Mahagun Sarovar Portico located close to Vaishali metro station is your ultimate wedding hotel choice in East Delhi. Not only does this 4 star wedding venue offer convenience, but also an 8, 500 sq. ft. large banqueting space to host your grand festivities. Their professional banqueting management understands that Indian weddings are diverse, hence works towards satisfying all your varied demands to the T. With close proximity to tourist attractions, this wedding venue is also a perfect choice for delighting your outstation guests. Another gem location that is proximately located to all transport hubs, the Grand Milan Sapphire at Kaushambi offers a contemporary banquet hall in East Delhi that is an instant hit among bridal couples looking for an edgy and non-traditional wedding venue. How is this venue different from other wedding hotels in East Delhi? The Grand Milan Sapphire offers a lounge style ambiance with couches and ambiance so unique that it will amaze your guests. Tastefully designed interiors and state-of-the-art lighting leave very less room for décor helping you save some money there. Unable to find availability at Grand Milan Sapphire, a wedding venue matching its standards and ambiance is the Grand Milan Regency located at Kaushambi. This banquet hall in East Delhi offers colonial interiors with state-of-the-art lighting that uplifts the atmosphere exactly the kind required for a royal themed wedding. They have a proficient team on board to assist you with décor, arrange a customised catering menu or any other wedding related services should you need one. Breathtaking is the word that best describes this wedding venue in East Delhi. Whether it’s their banquet halls or wedding lawn you choose to celebrate your D-Day, The Golden Tulip surely doesn’t disappoint. One look at the venue and we guarantee you will book it not just to host an elaborate wedding, but a grand style mehndi, sangeet and cocktail party too. The Golden Tulip undoubtedly gets double thumbs up from Weddingz for their exquisite banqueting space, plush outdoor wedding lawn, creative decorating services, lip smacking catering and skilful service. To check out more such amazing wedding venues and banquet halls in and around Delhi, click here.